In this review we feature the best Sony headphones that provide exceptionally clear sound quality and high-fidelity sound for music lovers and audiophiles. These headphones come equipped with high-performance acoustic drivers that can deliver plenty of volume output without any distortion. Furthermore, some of these headphones are wireless and feature noise cancellation technology to provide a quiet listening experience. Our experts have tested numerous Sony headphones to determine which ones stand out for their superior comfort and sound quality. If you are looking for the best Sony headphones to get, be sure to check out our top picks below! 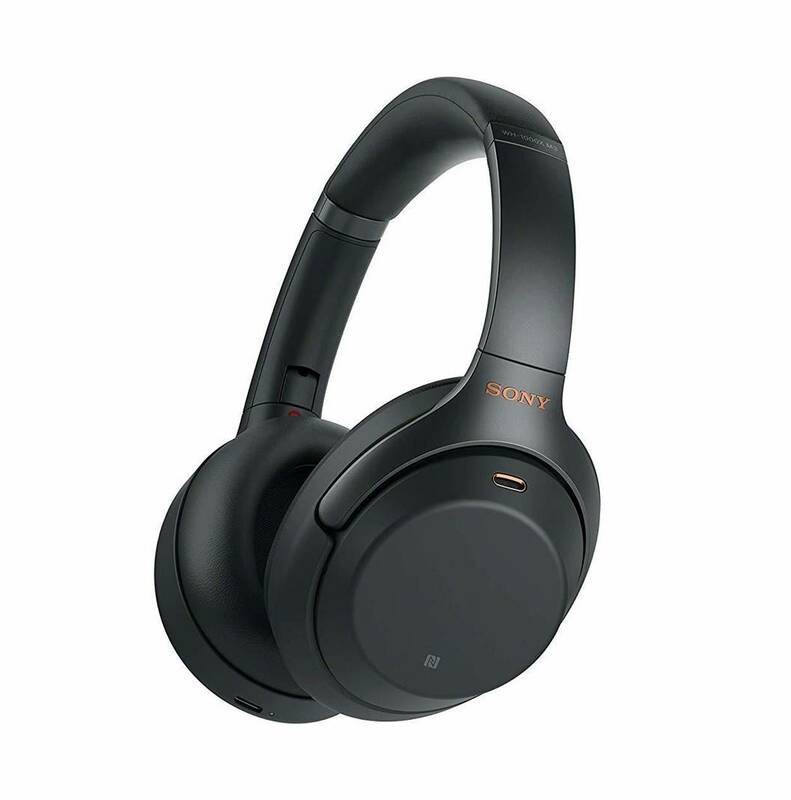 The Sony WH1000XM3 is a paird of wireless headphones with noise cancelling features which produce high quality audio without compromising comfort and convenience. The headphones have a very high quality noise cancellation system which filters out unwanted sustained background noises such as traffic, office noise and electrical equipment. It renders high quality sound through the use of its 40mm Liquid Crystal Polymer drivers which deliver a nuanced sound that has a deep bass and clear highs. 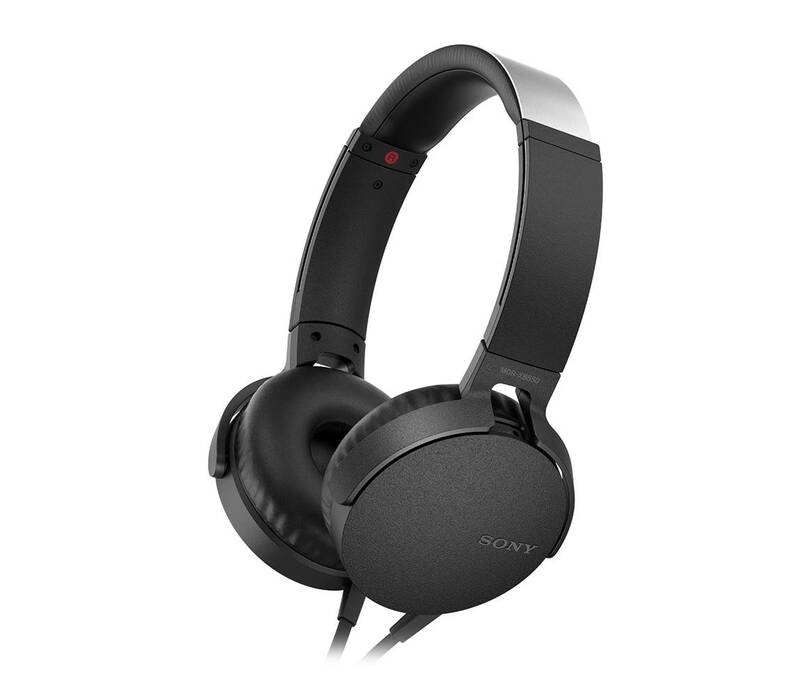 The Sony headphones deliver clean and crystal clear sound performance with excellent noise cancellation. The noise cancellation can block up to 95% of ambient background noise which is great for quiet listening or travel. 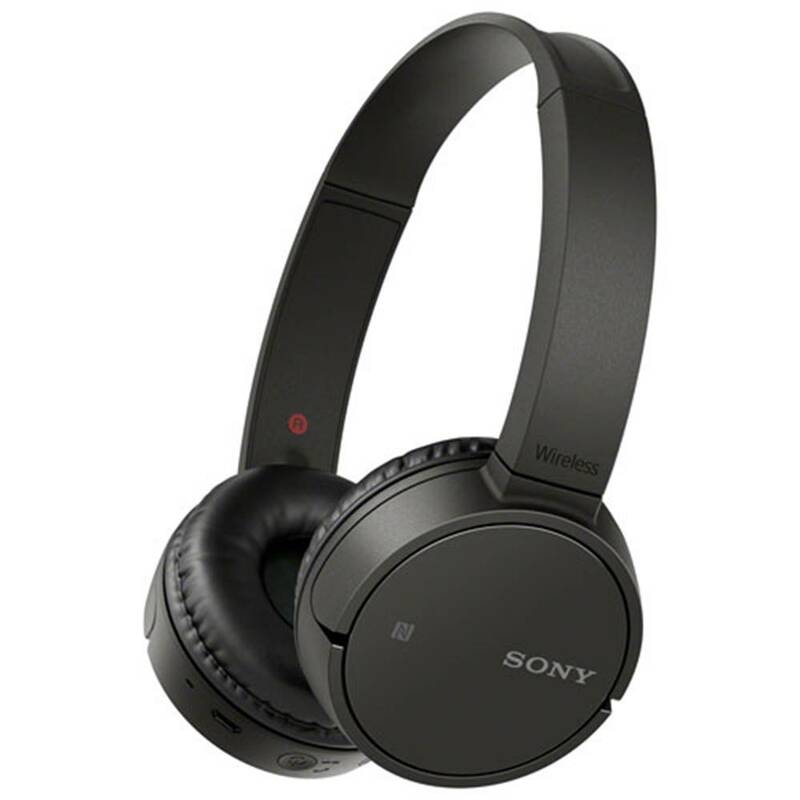 The sound quality that the Sony headphone delivers is consistent across all volume levels and it also provides a good deal of bass output without any distortion. These headphones are great for bass-heavy music genres including electronic dance music and rock. The Sony WH1000XM3 headphones has a closed back design which ensures that no audio is lost and the drivers fire audio right into the listener’s ears for a focused and clear sound, while minimizing spill and outside noise at the same time. The WH1000XM3 have an impressive battery life that provides up to 30 hours of continuous audio playback, the quick charging feature offering 5 hours of playback for only 10 minutes of charge. Its ergonomic design ensures a comfortable listening experience alongside its padded earcups and adjustable headband. The headphones also have the Smart Listening features by Sense Engine which detects conversations and lowers the playback volume for easy interactions without taking the headphones off. 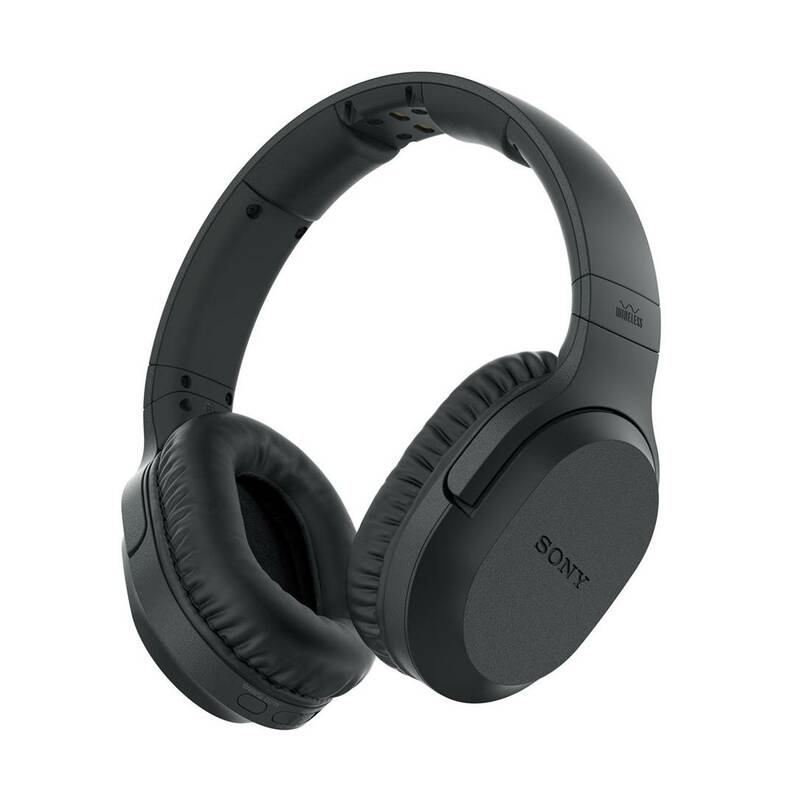 The Sony XB950B1 is a wireless pair of headphones designed to deliver high quality audio with an emphasis on low frequencies. The XB950B1 produce high definition audio with a good balance between mids and highs and an overall clear and full sound. The bass is the strong point of those headphones, rendering a powerful and deep low-end which works very well with modern style of music. When we tested these headphones, we were impressed by the level of bass output that these headphone can deliver. These headphones are wireless headphones and no extra headphone amplifier is required – the bass punches deep and feels tight without muddying into the midrange frequencies. This headphone is great if you enjoy listening to bass-heavy music genres such as electronic dance music and rock. The headphones have a closed back design which ensures that the drivers fire audio directly into the listeners’ ear drums for a clear and focused sound. The XB950B1 connects wirelessly to any Bluetooth enabled device, establishing a reliable connection with a range of up to 10 metres, delivering high quality audio with no signal loss or latency. Pairing the headphones is quick and convenient, either through the standard Bluetooth procedure or with a simple touch for NFC enabled devices. Users have the ability optimise their sound using Sony’s Headphones Connect application which offers various controls over the sound. The headphones also have built-in microphone which enable the user to take hands free calls, offering an uninterrupted experience using the headphones. The Sony H900N are a pair of well-designed, high quality headphones that deliver high definition audio and a comfortable listening experience. The design of the headphones is sleek and stylish which is further emphasised by the touch sensor control panel, offering a holistic modern experience. The H900N deliver a high quality audio using complex processes such as DSEE HX which upscales compressed music to recreate an authentic and natural musical experience. In terms of sound quality, the Sony H900N headphones provide crisp and clear sound quality that stays true to the audio recording. The headphones deliver sound exactly as the artist intended it to be heard without any distortion at high volume levels. The H900N has an interesting sound signature – it feels V-shaped but with great vocal clarity and emphasis on the highs and treble ranges. They are great for a variety of music genres including EDM as well as instrumental and classical genres. The headphones have a very well designed noise cancellation system that lowers the perceived volume of the environmental noise such as traffic, office noise or machinery noises. Users have the ability to shape their sonic experience using Sony’s Headphones Connect application which offers numerous sound configuration features. The battery life of the headphones lasts an impressive of 28 hours of continuous audio playback, which delivers more than a full day of constant streaming. The H900N also features a quick charge feature which provides 65 minutes of playback for 10 minutes of recharge. The headphones come with a carrying pouch, a connection cable, and a USB cable, so no additional purchases need to be made. The Sony RF400 is a pair of wireless headphones designed for home theatre usage. They are built using high quality materials and have a lot of features focusing on comfort, quality and convenience. The large driver units ensure that all details are picked up and represented accurately, especially during parts of the film or music where the volume is quiet. They have Voice Mode which can be toggled on and off which enhances the dialogue and conversations, making them stand out in comparison to the rest of the sounds in the video. The Sony RF400 delivers really good sound performance with nice dispersion within the cans. They are great for surround sound reproduction, and allow you to hear coming from all sides of the headphone and through the acoustic drivers. Listening to these headphones gives you a good sense of direction of where each note is coming from with detailed clarity. The headphones have a reliable, no-latency wireless connection which has a range of up to 45 metres, enabling the user to continue listening to the film or music in any location in the house. The battery life lasts up to an impressive 20 hours of continuous audio playback. The headphones are very comfortable to wear, with padded earcups and headband, all of them being adjustable to fit to any person wearing them. The headphones receive audio from a base transmitter which is connected to the sound source via an RCA cable. The Sony WH-CH500 wireless headphones deliver consistent good quality audio while maintaining a high level of convenience. They render high definition audio by using 30mm drivers which preserve wide range audio dynamics and produce a balanced sound with all the frequencies across the spectrum represented fairly. They connect wirelessly to any kind of Bluetooth enabled device very easily, the headphones becoming discoverable with a touch of a button. The headphones can also connect with a simple touch with NFC enabled devices. In terms of sound quality, we were quite surprised at how good these headphones sounded considering their on-ear design. The bass output is crisp and punchy, while the highs, midranges and lows are reproduced with good balance and clarity. You can practically crank up the volume on these headphones without hearing any distortion. We also did not experience any interruptions while streaming music via Bluetooth connectivity. The Sony WH-CH500 headphones have an impressive battery life which lasts up to 20 hours of continuous playback time. They charge through a Micro USB cable which is widely used across different portable devices. The WH-CH500 have a built-in microphone which enable users to take hands free calls and control their playback device using voice commands. These ensure a continuous audio experience without having to take off the headphones or interrupt music. The headphones are designed to be very comfortable. They feature padded ear-cups and an adjustable headband. The headphones can also swivel which makes them easy to store for travelling. 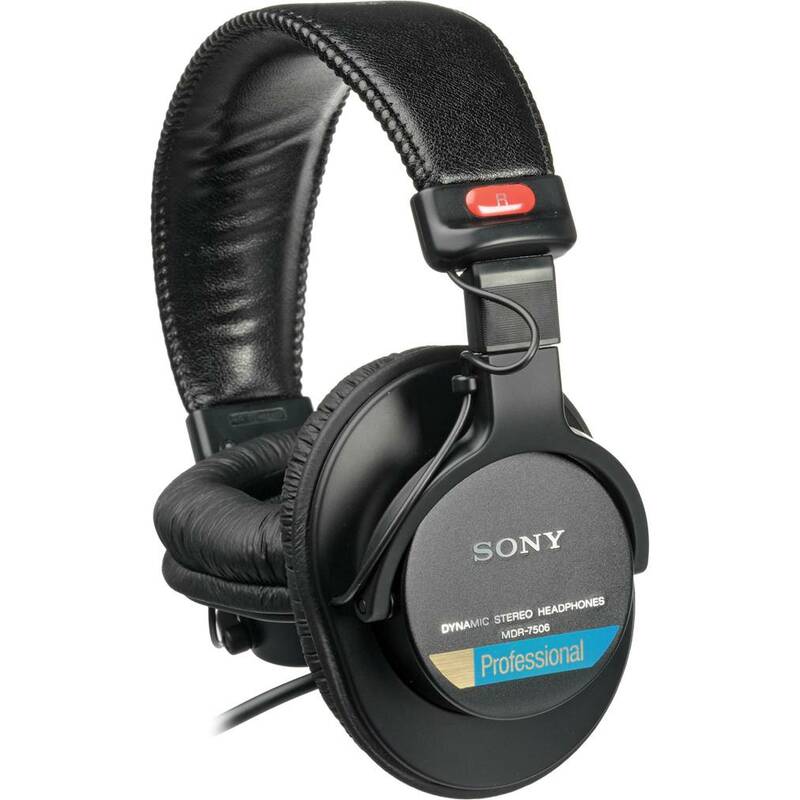 The Sony MDR7506 are a pair of high quality headphones intended for professional usage in a studio environment. These headphones produce high definition, clear sound using Neodymium magnets and 40mm drivers that bring out all the details in the audio and ensure a wide range of dynamics. The closed back design drastically reduces environmental noises for an isolated audio experience. The closed back also ensures that the audio is fired directly into the listener’s ears without any spill. It has an extended frequency range which goes from 10 Hz to 20 kHz, the lower frequency limit going 10 Hz lower than the human hearing range, producing vibrations which can be felt rather than heard. In terms of sound performance, these headphones deliver really good analytical sound quality and are great for studio monitoring. The headphones have a wide frequency range between 10 Hz to 20 kHz and can pick up details in the music which you might not have noticed before. The bass, highs and midranges are perfectly balanced; there is no overriding frequency range. 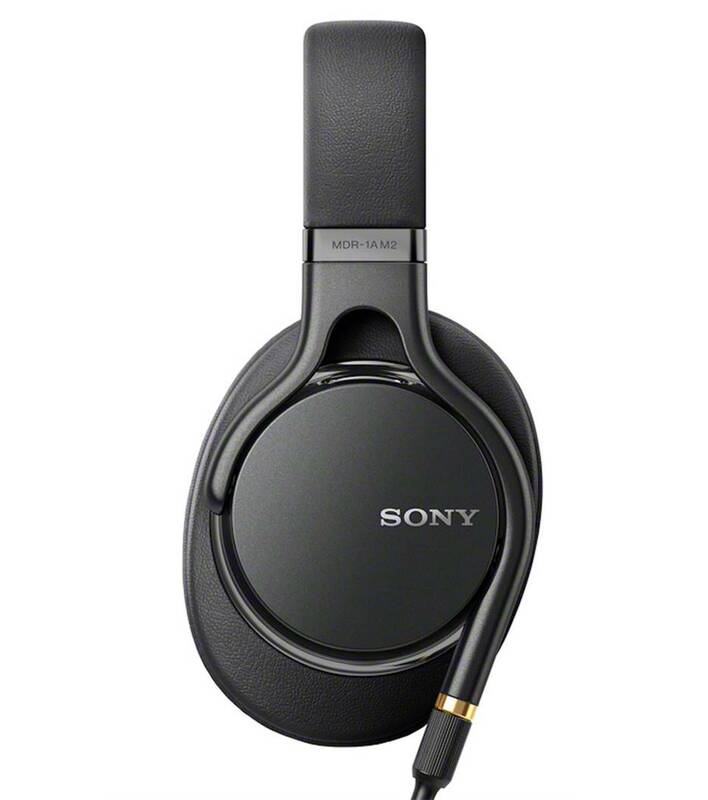 We would describe the sound signature of these Sony headphones neutral. 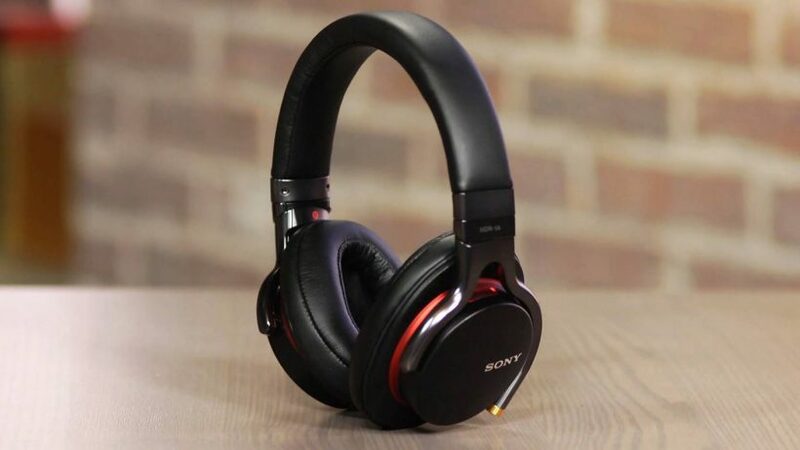 These Sony headphones have a wired connectivity which features a coiled cord which extends to a maximum of 3 metres, the cable ending in a 3.5 mm TRS connectors which can have a 6.3 mm TRS attachment. The headphones feature padded extendable headband and adjustable over-ear cups. They can be folded for convenient transport and storage. The headphones are best used in a studio environment due to the bulky nature and long audio cord. The Sony MDR1AM2 are a pair of well-designed, high quality headphones that have a stylish modern design and deliver high definition audio. The sound quality is rendered exceptionally due to the well-implemented liquid crystal polymer driver which produces audio with very high clarity, all the details being enhanced. The frequency response emphasises the low end, the bass being deep and heavy while being very well defined and distinguishable. The mids and high are well balanced and produce high fidelity audio. We were particularly impressed by the bass output from these headphones. When paired with a portable headphone amplifier, these Sony headphones do delivery punchy lows that add a level of flare to music performances. The sound from these headphones is great for bass-heavy music genres such as electronic dance music, rock and EDM. The frequency response on the acoustic drivers is excellent and very fast. The Sony headphones have a wired 3.5 mm TRS connectivity which can be detached. The MDR1AM2 come with two different cables, one balanced connection cable of 1.3 metres and another with an inline remote and microphone which can turn this pair of headphones into a headset, enabling the user to take calls and control the playback music without having to interact with the connected device or remove the headphones. The headphones also come with a carrying pouch and the ear cups can swivel, making them easy to store and transport. These headphones can produce digital audio at a quality level higher than standard CD resolution. 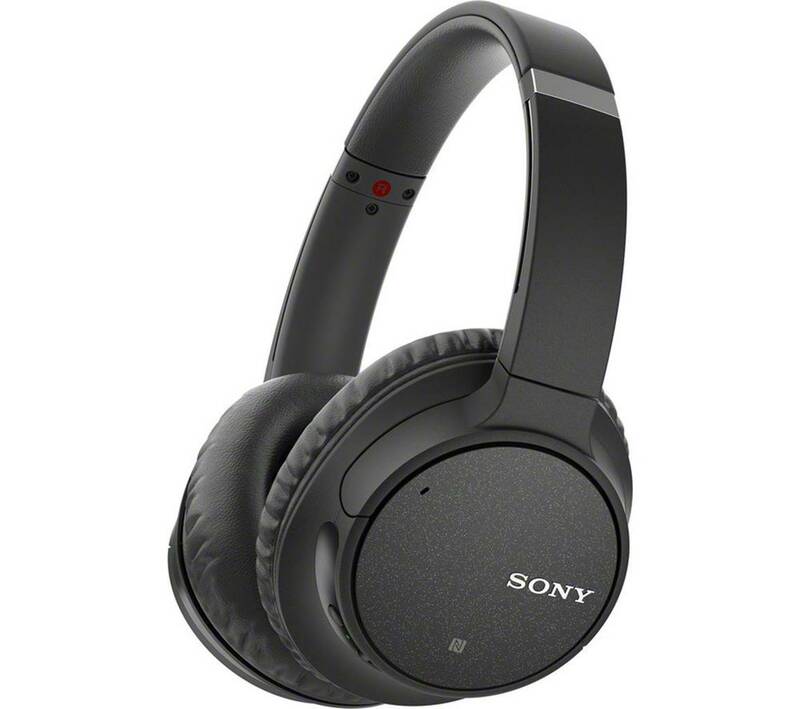 The Sony WH-CH700N is a pair of wireless noise cancelling headphones that are designed for maximum convenience. The produce high definition audio using 40 mm Drivers that present all the details in the music clearly. They have an integrated noise cancellation feature which lowers the perceived volume of environmental noises, such as traffic, office noise or any other background appliances. Sound performance wise, the WH-CH700N provides a comfortable listening experience with crystal clear audio performance. The highs and midranges are crisp and clear, while the bass feels tight and punchy. We were able to listen to music genres and pick up the subtle details in the music without any issues. The sound quality is consistent at any volume level and feels great to listen to – we did not sense any distortion while listening to these headphones. The headphones connect wirelessly to any Bluetooth enabled device, establishing a reliable and high quality connection. There is no signal loss and the transmission latency is minimal. The pairing process is simple, and the headphones can also connect with a simple touch with NFC enabled devices. The WH-CH700N has a built-in microphone which enables users to take hands free calls without being inconvenienced. The microphone can also be used to control voice assistants on the connected device such as Siri. The Sony WH-CH700N have an impressive battery life that provides 35 hours of continuous audio streaming. Using a wired connectivity, the noise cancelling feature can last up to 50 hours. 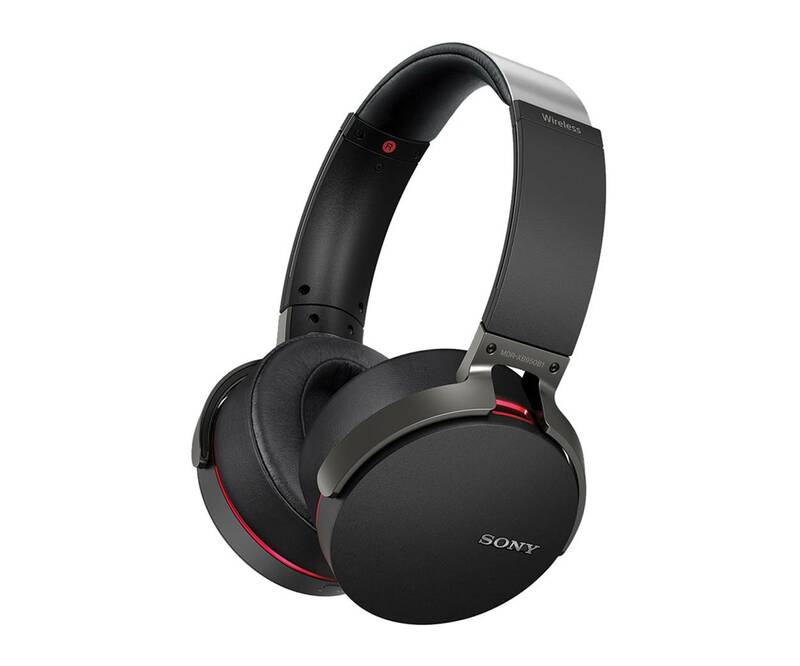 The headphones can also be controlled with Sony’s Headphone Connect application which offers sound calibration features and more. 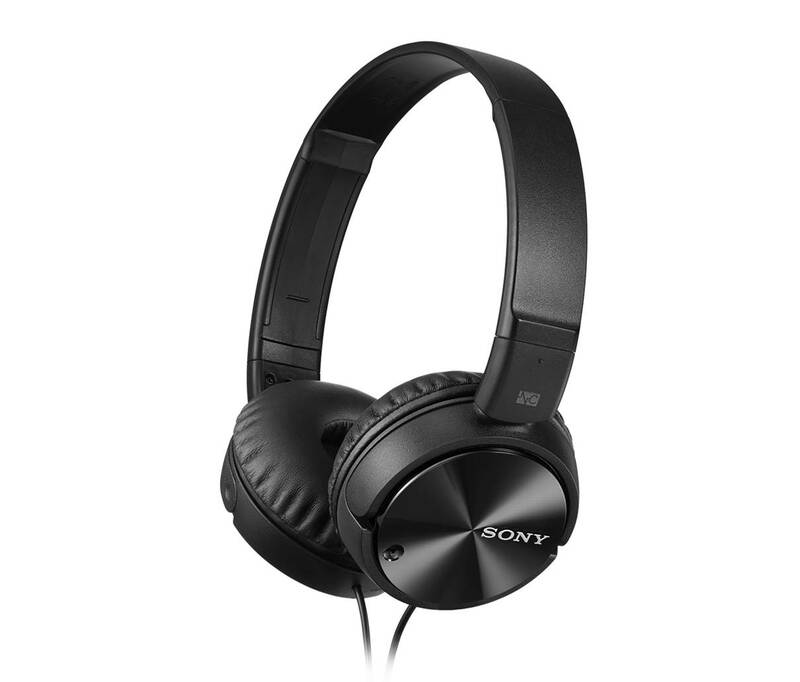 The Sony XB550AP Extra Bass are a pair of on-ear headphones which have an emphasis on low-end frequencies. They deliver an impressive bass sound suitable for modern kinds of music which tends to be more bass-intensive. They render high definition audio using 30 mm driver that are capable on producing the promised powerful low end. The frequency response for those headphones ranges from 5 Hz to 22,000 Hz, the lower end being below the human hearing range, but the bass frequencies can nevertheless be felt and enhance the audio experience. The headphones are equipped with an in-line remote and a microphone that enable the user to take calls and control music playback without having to take the headphones off. The controls of the in-line remote can be customized with the free SmartKey App. We liked the fact that the cushioned ear pads and extendable headband make this pair of headphones very comfortable, which enable the XB550AP to be used on a daily basis for long lasting listening session. The connectivity is wired with a rugged, Y-type design connecting both earcups prevents tangling and ensures a secure and reliable transmission medium. 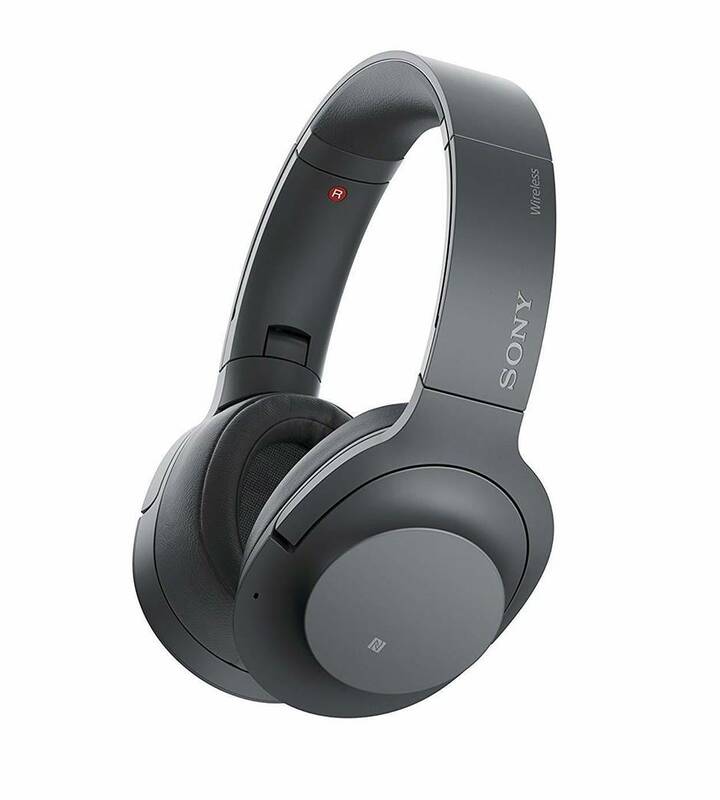 The Sony MDRZX110 NC are a pair of noise cancelling headphones which have been designed to be used for long periods of time. They produce good quality audio with a balanced frequency response across the spectrum with the usage of the 30mm Neodymium Drivers. Their frequency response ranges between 10 Hz and 22,000 Hz, which is slightly over the human hearing range, but ensures that the audio is rendered accurately. In terms of sound performance, these Sony headphones deliver well-balanced sound quality with good highs and midranges. The bass output is decent, although not as strong as the other Sony headphone counterparts. We liked the noise cancellation feature which does block out a decent amount of ambient background noise for quiet listening. We also did not hear any hissing noise while the noise cancellation is turned on. Sound performance wise, these headphones hit the sweet spot by delivering crisp treble and smooth bass ranges, covering a wide variety of music genres. The noise cancellation feature is very well designed and integrated, reducing ambient noise by 95%, which can help the listener experience music with purity. The ambient noise includes different environments, such as outside noises, office noises and electrical humming. The noise cancellation can last up to 80 hours on a single charge, which means that the headphones can be used extensively without worrying all the time about charging. The closed back design of the headphones further enhances the sound-reducing capabilities of the Sone MDRZX110. They have a wired Y shaped connectivity that connects to each earcup individually, preventing ranging and ensuring no delay between the left and the right drivers.